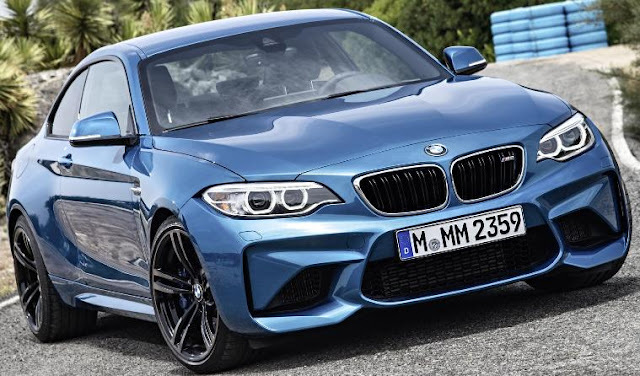 The all-new 2016 BMW M2 powered by a 365 horsepower 3.0-liter 6-cylinder inline engine is more powerful than its predecessor, the BMW 1 M Coupe. With the optional M Double Clutch Transmission, the new BMW M2 sprints from zero to 60 mph in 4.2 seconds (4.4 s with the six-speed manual transmission). The top speed of the all-new BMW M2 is electronically limited to 155 mph. The Active M Differential in the all-new BMW M2 optimizes traction and maximizes directional stability. The BMW M2 will be available at authorized BMW centers with a limited range of options starting in spring of 2016. Price will be disclosed closer to market launch.